Have you ever wondered why some restaurants post warning signs for customers with pacemakers that the establishment uses a microwave oven? A pacemaker is an electrical device implanted in the chest to maintain proper heart rhythm. Microwaves can interfere with the electrical impulses of the pacemaker. 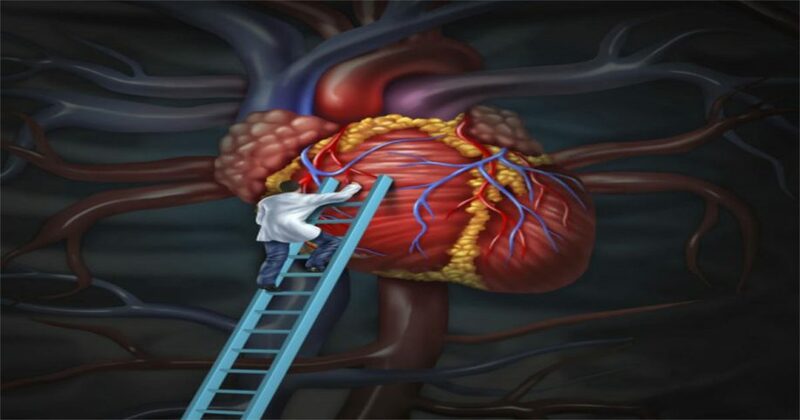 The human heart is also an electrical device that naturally maintains the appropriate rhythm. Microwave radiation has the same effect on the real organ as it does on the plastic implant. 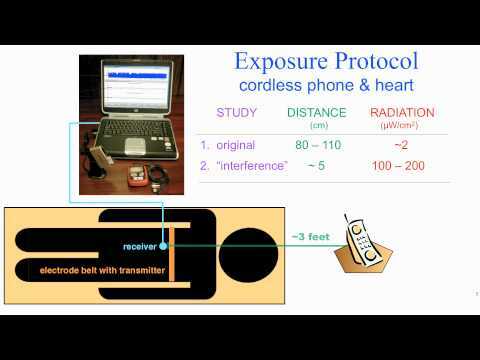 She and her colleagues tested the effects of 3 minutes of exposure from a common cordless telephone running at 2.4 GHz (gigahertz) with 25 people. Forty percent of the subjects experienced changes to their heart rate. A cordless telephone uses about 3 watts of power. Microwave ovens work at 2.5 GHz frequency but are run with the power of 1000 watts. 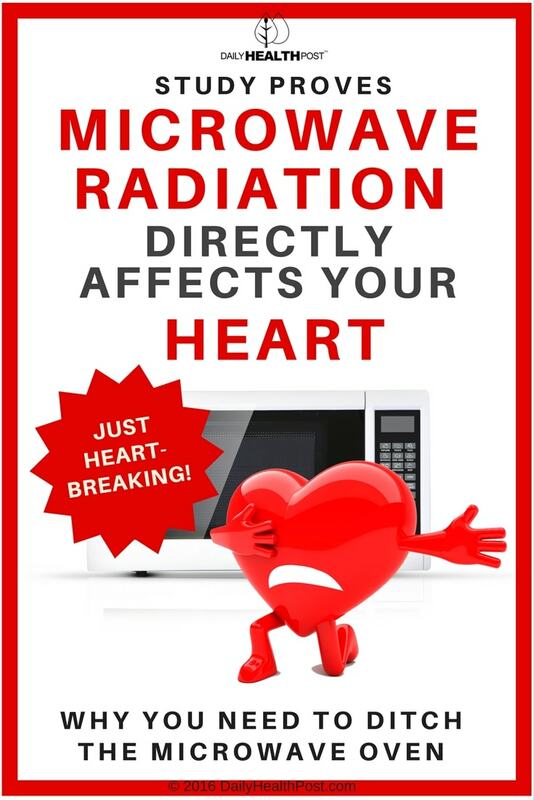 Hence, the harmful effects of microwave ovens are all too real for patients with pacemakers. Havas’ subsequent study in 2013 expanded the research into “electrosmog”, the miasma of electromagnetic radiation emitted by wireless technology that constantly surrounds us. Devices that contribute to electrosmog are cell phones, smart meters, wireless routers, baby monitors, computers, gaming consoles, radios, television, and the like. Electrohypersensitivity is the term used for the vast number of people who experience debilitating physical consequences from exposure to radio frequency (microwave) emissions—it is also called “rapid aging syndrome”. That doesn’t sound very appealing. Electrosmog affects the blood, heart, and entire autonomous nervous system. The closer the source of the radiation, the more severe and chronic the effects. Any one device wouldn’t be a problem but we are bombarded with this radiation virtually everywhere. Microwave ovens aren’t wireless—they require too much power for that. But the type of radiation used to cook food is the same as the kind used to make a call. The danger they present isn’t from the oven itself but microwaved foods. A microwave oven works by flooding food with electromagnetic radiation; the molecular structures of the food are changed by the radiation. When we eat food cooked (or even warmed) by microwaves, our physiology changes too. Microwaved food has direct impact on the blood, brain, and the entire nervous system. The changes occur at ingestion every time it’s eaten. Damage spreads with each bite. In the past 40 years, the microwave oven has become a staple in North American kitchens. It is a great time-saving device that cooks and reheats foods in a fraction of the time of conventional methods. But is convenience really worth cancer and brain damage? After all, there are many other ways to reheat your food!